We provide Electrical & Instrumentation Technicians who can support the continuous manufacturing operations of various clients. Our E&I Techs perform troubleshooting and repair, preventative and predictive maintenance and assist plant project teams. They have a solid understanding of process control systems in addition to low and medium voltage systems. Our technical staffing team members have a high technical knowledge of the operation, troubleshooting, maintenance, PLC and HMI programming, configuration, and repair of plant electrical, instrumentation, manufacturing and utility systems. R&L Engineering encourages our team members to participate in Continuous Improvement programs with the operating team they are supporting. We also provide Process Improvement Technicians to various manufacturing clients. The primary responsibility of this role is to provide technical support to process engineering and production personnel in all areas of manufacturing with involvement in all aspects of production support, process improvement, yield improvement, equipment preventive maintenance as well as various engineering product and process related projects. Our team evaluates and troubleshoots production problems in multiple manufacturing areas. They support all continuous improvement activities including but not limited to Kaizen team actions, 5S coordination, mistake proofing, and value stream improvements to production flows. Let one of our experts look at your most complex application or problem. Complete comprehension of the process is critical when developing an automation system design. The key is good process analysis, including review of available process data and interviews with operations, engineering and maintenance personnel. This analysis allows us to fully understand the current operational philosophy and logic, as well as the constraints, limitations and challenges the operators may face. This analysis process is the crucial element in developing the scope of work and ultimate goals of any automation project. R&L Engineering can design, integrate, and commission the complete system and back it up with technical expertise and application support. A successful project must have good project management. R&L Engineering's experienced project managers can assist you with the management of your next project. Our project managers can help with integration, software development and engineering project. We can manage the scope, schedule and resource allocation to ensure your project is delivered on time and on, or under budget. We offer full turnkey project management to coordinate all phases, including management of third party contractors to deliver a complete installation and startup. Project management is a key factor in the success of any project. 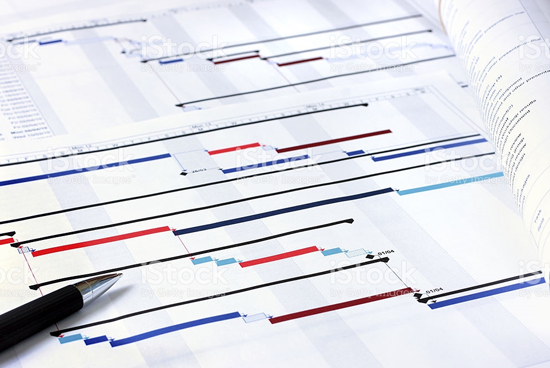 To ensure the success of the project management, our project managers carry out every stage in the process automation project lifecycle: definition, design, development, implementation, verification and documentation. This eliminates most problems that can keep a project from achieving the expected level of success. Our breadth of integration services allows us to provide comprehensive implementation of our engineered solutions, including technical services to support the electrical and instrumentation installation and calibration, engineering to support the control system commissioning and startup and post-startup support. With decades of experience in systems integration, R&L Engineering provides expert manufacturing consulting services to resolve problems with immediate, effective process automation solutions. Our consulting team can help you identify and eliminate the specific operational constraints that impact your profitability, including distribution inefficiencies; outdated, underutilized or inappropriate technologies; capacity bottlenecks; organizational resource leveling; manufacturing, scheduling and planning issues; inadequate strategic vision. With our help, you can turn your pain points into strengths for your business.